The Bonastruc ça Porta Centre occupies several different properties which were part of the Jewish quarter of Girona. In 1435, the Jewish community built here the last medieval synagogue, in use until 1492. After the baptism or the expulsion of the last Jews from the city, the buildings survived as a private property until the 1980s. They were renovated to become the nucleus of the contemporary rehabilitation of the city's Jewish heritage. An important element has been identified in 2014: the "women's" baths, or mikveh. Even though in later rebuildings it was transformed into a cistern, the original structure has been preserved. The excavations carried out at Bonastruc ça Porta Center (2012/2013) to enable a space for temporary exhibitions discovered the remains of a Jewish house built in the 13th century. At the end of fourteenth century it suffered a fire, and in the fifteenth century, it was reused as a Jewish butcher shop, part of the complex of the synagogue until 1492. A few years later it was demolished and turned into a courtyard where in 19th and 20th c. they built new walls and sewers. 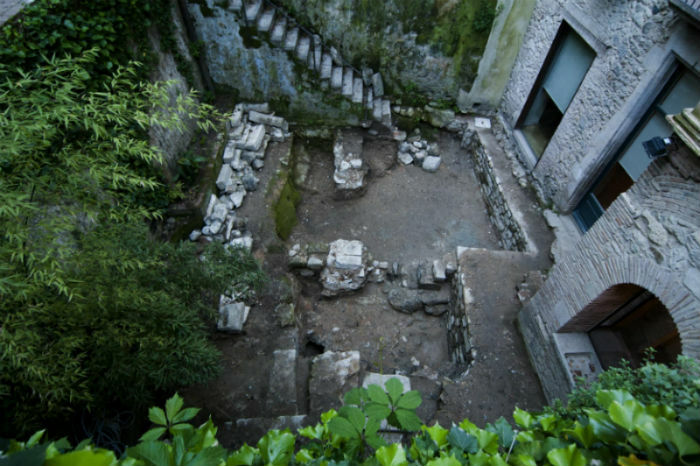 The remains of the mikveh (ritual bath) used by the Jewish community of Girona between 1435 and 1492 are on the second floor, at the other end of the courtyard. They have been discovered in the course of the archaeological excavations in February 2014, around the area of the old cistern. 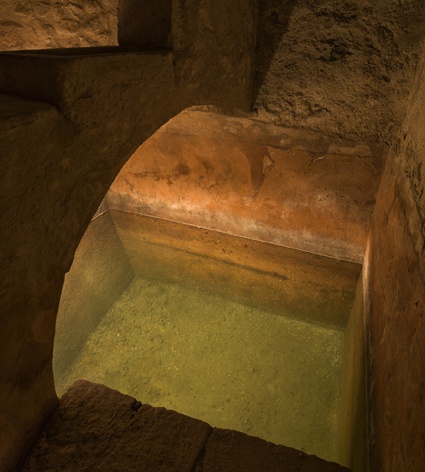 It is a small sized mikveh fed by rainwater, which entered through a pipe discovered during the excavations. 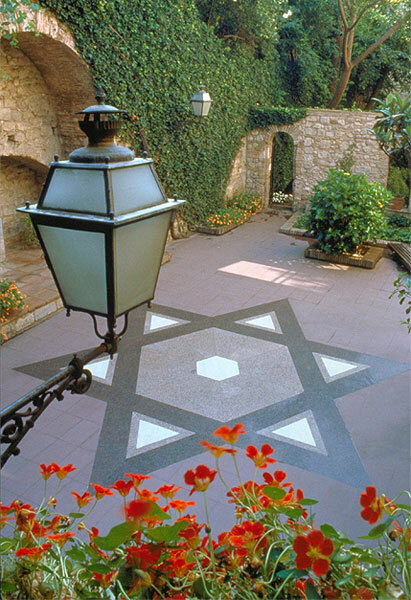 The central courtyard of the Bonastruc ça Porta Centre, which houses the Museum of the History of the Jews. A museum first opened in Girona in 2000 to recall and rehabilitate the history of the city's Jewish inhabitants who, with very high cultural attainments but at the same time often leading anonymous daily lives, contributed to the wealth and success of the city.